I am a full-time entertainer and manager of a production show that performs throughout South Qld. I run a family-friendly, reputable business (Blue Card registration number is 599268/3). 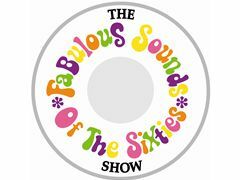 "The Fabulous Sounds Of The Sixties Show" is a 12 person show plus production. We play venues such as Kedron-Wavell Services Club, Twin Towns Services Club, corporate functions and outdoor festivals. We've won Best Production Show at the last three Entertainer Of The Year Awards for Clubs in South Qld. The show was proudly supported by 4BH for the past three years. We are looking for a talented female singer/dancer or a dancer, aged 14-18, for this production. The girls are known as The Love Bugs. Past Love Bugs include Natalie Blair (Gold Logie nominee 2007/08) who was a part of our show for over two years before joining the cast of Neighbours. Poli Cameron (Neighbours), Megan Washington (multiple ARIA award winner) & Nicole Sokolovic (Universal Studios Singapore; SolAria) are also ex-Love Bugs. Upon application, I can provide personal and professional references for myself and the group plus testimonials from three Love Bugs and Natalie Blair's mother, Maureen. Image is a crucial part of the shows. The image is young people doing music from 45-50 years ago. We all look like we just stepped out of 1965 so the piercings and tattooed brigade need not apply! The costumes range from ladies sizes 8-12 so, unfortunately, the position would not suit a larger girl or someone with self-conscious ‘body issues’. The girls' roles are as singers (backed by the band) and also dancers, supporting the band. Most girls in the show all started around 16 years of age. There are photos of the girls on the myspace and Facebook. The shows are from one to four hours duration. It is a business. Hence we have an alcohol-free, drug-free policy in the show. We are a happy group of mainly young and ambitious performers. Egos are left at the door upon arriving. Attitudes don't make it to the door! We are only interested in auditioning young ladies who want a career in the entertainment industry and would be willing to make a commitment to our show for at least 12 months, after an initial probation period. Presently, we average about one show per fortnight (on weekends). Training simply involves two or three initial rehearsals and then a rehearsal once every few months (for new material). Early days, money starts from $150 a show. There is also more regular duo, trio and quartet work available to the girls who perform in the show. Money for these acts can be substantially better than for the shows. Money is paid promptly into respective bank accounts usually the week following the weekend's performances. The show has been going since 2002. Prior to that, my band has been working since 1990. I went full-time in 1992. The audition process is detailed below. I acknowledge a strong duty of care to all who work in my organisation, particularly young ladies. I have a good relationship with all parents of the young ladies who are in my employ. Experience is not necessary; just talent, a good look, a great attitude and the desire to work well within a team. If you are interested in auditioning, please forward me a CV including recent photos and a demo of your singing. I certainly welcome enquiries whether they be from students, teachers or parents.